Homeowners can stay calm if they experience a water-based disaster knowing that they have access to the services of the water damage Grandview unit at 911 Restoration of Kansas City Metro around the clock. Our entire company is licensed, insured and bonded, to assist you with water extraction at all hours of the day and night, and we will be at your home within 45 minutes of receiving your call, ensuring that your wait time is never any longer. We also have many years of water damage restoration experience, during which our water damage Grandview techs have mitigated roof leaks, plumbing issues, pipe bursts, sewage overflows and many other water disasters. Our IICRC certified water damage Grandview experts are equipped to handle a wide variety of water-related disasters, so call us today and we will get the process started with a free home inspection. Our entire company is licensed, bonded and insured to efficiently clear all water out of your home. All of our restoration work is preformed with the highest level of efficiency to get your property back looking better than new. Our water damage Grandview professionals consistently provide a full-service water damage restoration experience, making sure you feel cared for every step of the way. We give same day service, which allows us to mitigate the extent of water damage right away. Reducing the time it takes to clean up water damage dramatically increases your chances of a successful restoration. Even though all of our prices are affordable, our water damage Grandview team also work closely with all major insurance companies. We will do all we can to make this process easy for you, including filing your claim for you. Contact us to take advantage of our superior level of customer care and restoration abilities today! Our water damage Grandview staff will immediately begin restoration procedures once we have found the source of the problem and determine the best mode of action. We only use the most advanced moisture removal and drying equipment available in the industry, especially when dealing with mold, which includes wet vacs, sump pumps, vapor barriers, dehumidifiers and air movers, to name a few. 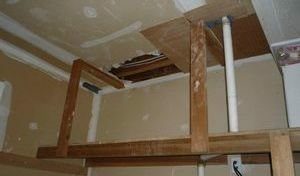 When mold and fungus infest the home, the substance can potentially create a health hazard for your family, so our water damage Grandview technicians always do a thorough job. If you think you may have mold spores growing in your home, it is important to pay attention for some of the early warning signs, such as warping, rotting, insects, breathing problems, allergy-like symptoms and dark patches on your home’s surfaces. 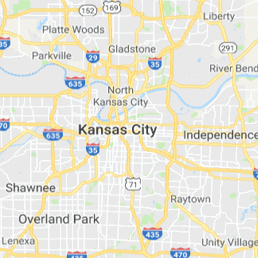 Call us as soon as you discover invasive water on your property to get peace of mind knowing that our water damage Grandview agents at 911 Restoration of Kansas City Metro will give you a fresh start.